"EXPERIENCE, EXCELLENCE & RESULTS." Chris started his real estate journey in 1994 managing a portfolio of 350 properties in western Sydney; he decided to do this at the age of 26, after seeing the personal benefit of already owing two investment properties. 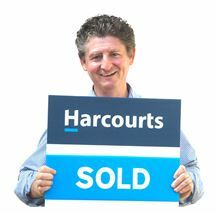 Two years later Chris moved into sales and won industry awards for his Auction success. In 2001 Chris obtained his Real Estate License, as well as his Body Corporate, Business, and Stock and Station licences. Chris has since owned his own Real Estate Office in the Blue Mountains, managed body corporate companies, (one with a portfolio 600 residential and commercial buildings between Coolangatta and Cairns, servicing 17,000 clients) and has purchased another five investment properties. With Chris's experience of selling in excess of $100 Million worth of real estate, his significant property management experience, systemised and planned approach to each sale, Chris constantly delivers excellent customer service and results. Brand NEW - Negotiate NOW ! !